The Disability Travel Card is provided to persons with a permanent disability; who require the assistance of a support person when travelling with VIA Rail Canada, Greyhound Canada, Coach Canada, and Motor Coach Canada. The cardholder presents the Disability Travel Card when purchasing a ticket for travel, with one of the participating companies. This allows one support person to accompany them during travel for a reduced fee. The person with the disability (the Disability Travel Card holder) pays the regular ticket price. A support person is an adult who accompanies a person with a permanent disability to provide services that are not otherwise provided by the employees of participating transportation companies, such as assisting the person with eating, administering medication, communication and use of the facilities. The age regulations for a support person differ with each of our partners. Please contact them directly for specific details. The Disability Travel Card is managed and administered by Easter Seals Canada. The card does not expire. 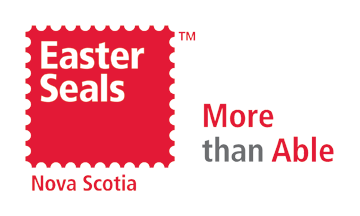 Easter Seals Canada acts as the distributor of the Disability Travel Card only and has no responsibility for any issues/complaints regarding customer service of the carrier. Please contact the carrier for any issues. The Disability Travel Card is not valid with any airlines. The applicant must agree to follow the terms and conditions found on the application.